Rosemark provides laser hair removal services in Idaho Falls as one of several aesthetic treatments. Under the supervision of a physician, our laser hair removal services are offered with the latest technology available and produce optimal results. You may be surprised to learn that virtually your entire body is covered in hair. Because most of this hair is fine and pale, it usually isn’t visible to the naked eye. Hair is a simple structure that is made up of a protein called keratin. The primary anatomical purposes of hair is to provide heat, protect the skin from the environment and to respond to external input. For example, a cool breeze will move the hair and this information would be transmitted through neurological impulses to the brain for interpretation. Throughout history and in various cultures today, hair plays a significant social role. Hair styles, length of hair and unwanted hair are all important social contributions to men and women but especially women in our society. Laser hair removal is the process of removing body hair by destroying the hair follicle with pulses of laser light. 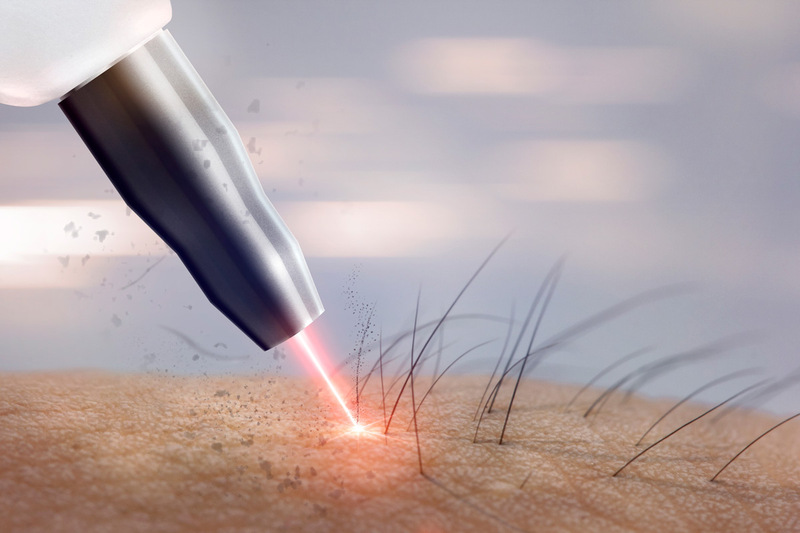 The laser selectively destroys hair follicles all over the body. These areas include the chin, cheeks, upper lip, eyebrows, nasal hairs, sideburns, neck, back, breasts, belly, swimsuit lines, thighs, entire legs, toes, and armpits. 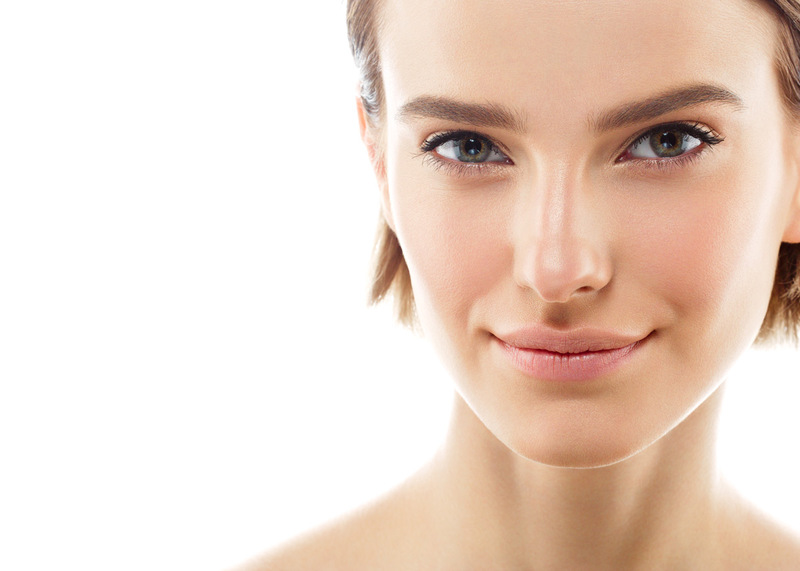 For long-term removal, electrolysis was a popular and effective method in the past. However, it is a time-consuming procedure which can be painful and useful only in removing hair in small areas. 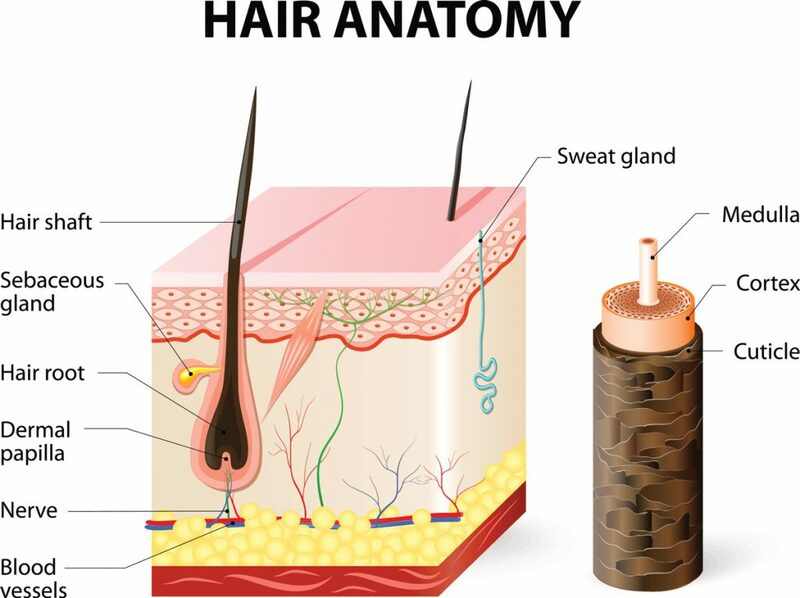 During electrolysis, an electric current passes through a needle to destroy each individual hair root. It typically takes months and numerous regular visits to clear even small areas, like the upper lip. The combination of the Splendor X square technology, adaptability to hair type and its unique cooling method make our laser hair removal treatments safe and effective in all skin types, including ethnic and tanned skin. The length of a laser hair removal treatment session may last anywhere from a few minutes to an hour or more, depending on the size of the area being treated. It is important to know that hair in an active growth phase (referred to as anagen) are the most affected by the laser. Not all hair are in the anagen phase at the same time, more than one treatment will be necessary to achieve the best results. The laser hair removal treatment itself may cause some discomfort. Most patients tolerate the procedure well, but because some areas of the body are more sensitive than others, topical anesthesia can be an option. The appearance of the treated area immediately following treatment will vary from patient to patient depending on the extent of the procedure and skin type. Side effects, if any, are minor. Some side effects may include redness and swelling around the hair follicle, which are, in fact, desired clinical results and indicate that the follicle has responded to the treatment. Most people return to normal activity right away. If you have more questions, we will be happy to tell you more about your treatment options, possible side effects and what results you can expect during your FREE consultation.